2013 Mercedes-Benz CLS 63 AMG! Clean Carfax! One owner! Original MSRP OF $117,685! 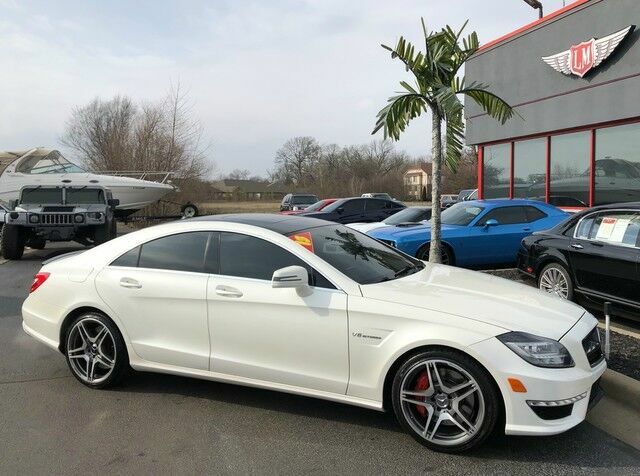 This Gorgeous Luxury Sport sedan is guaranteed to turn heads! Clean, one owner California car! Equipped with a 5.5L Bi-Turbo V8 engine producing a staggering 518 Horsepower and 516 Lb/ft of torque! Loaded with options including AMG Performance package, Premium package, Drivers assistance package, rear limited slip differential, AMG illuminated door sills, Parktronic with active parking assist, Heated and Cooled front seats, Heated rear seats, Massaging drivers seat, Navigation, Backup camera, Bluetooth, Harman/Kardon Premium surround sound, Paddle shifters, power rear sunshade, power Sunroof, Distance display, Pre-Safe Brake, Attention assist, Blind spot assist, Lane keeping assist, Sport+ Driving mode, and so much more! Only 51,276 miles! Ask about our extended bumper-to-bumper, unlimited mile warranties for the peace of mind to match this AMAZING vehicle!